I have noticed a little issue which I am actually not able to solve, and it is about a google maps mod installed in my board (named Phoogle Map). If needed, I attach also the file phpbb_phoogle_class.php which is a part of the mod involved and the original installation text file. Can anyone help me in getting the map to show up again in the registration/profile page? I never made any changes to any file beside just upgrading the php version, as written in topic. Post subject: Re: little problem after upgrading php to ver 5.3.27 from 5.
but it is related to Google Maps API v2 which last month reached the End Of Life! Are you sure you are still running php 5.3.x? I guess this issue is related to whatAsavage mentions about htmlspecialchars in this post. The fix for this is posted by him a few posts further on in that same thread. See if adding the function htmlspecialchars_wrapped to your common.php and changing htmlspecialchars into htmlspecialchars_wrapped in the code related with your Phoogle map solves your issue. If it does I suppose you will have more places in your board where the htmlspecialchars encoding change causes trouble. Oops, I just read your follow-up. 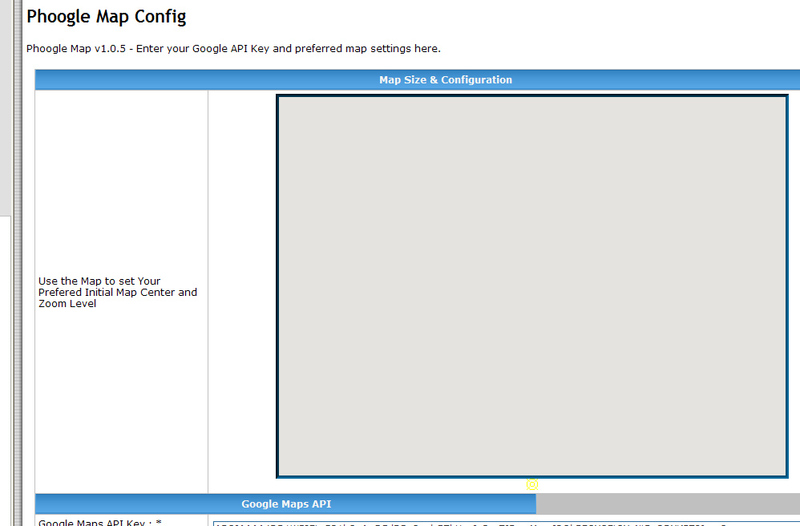 It shouldn�t be too hard to upgrade the Phoogle Map MOD from API V2 to API V3. hi dogs and things ... we wrote a new message at the same time! I edited my latest message, added a link to upgrade instruction for google maps api from v2 to v3. If you don�t think it's the API version used by Phoogle Maps then just try the htmlspecialchars fix from Asavage. are you able to tell me if the file phoogle_map.php I attach, uses the api v2 to show the map or it uses an ordinary google map link without the use of api? and it's quite strange, cause otherwise map shouldn't appear in any place... am I right? In the file phpbb_phoogle_class.php you attached earlier is defined what version of the API is used by Phoogle Maps. In the line I recommended you to change, to be precise. I don't think different versions of the API are used in different places of your forum, at least the phoogle_map.php you post doesn�t determine a google map version. Try the htmlspecialchars fix I commented earlier, it is really easy to do and worth a try. because in the "phoogle_map.php" page the map is showing up correctly. in the admin configuration page instead, the part of the code is identical to the one working above, but the map instead its not showing!! at the top of your usercp_register.php, after the opening <?php and see what errors are shown on your registration form. Did you do the fix by Asavage correctly? after placing the code above I get really a long long list of notices and Strict Standards, due to the massive amount of mods I have installed. About the asavage fix... yes, I applied that correctly, exactly as described. It is also in the admin page (where also the map doesn't work), see screenshot in my previous message, it was just less visible because when i took the screenshot it was blinking in yellow, but it's there. Interesting puzzle. 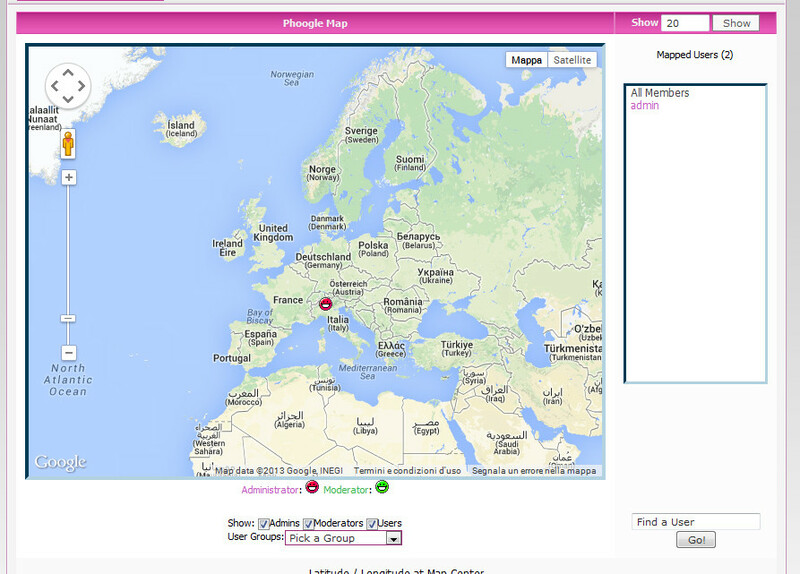 I'd like to compare the HTML sources for your phoogle_map.php and any of the pages where the map doesn't work, please.